Victorian England, as I pointed out in my earlier post, The Pastry Chef, produced a bumper crop of genuine characters: rogues, villains, explorers, heroes, geniuses, entrepreneurs, and colorful eccentrics. This week I highlight a fascinating figure, Isambard Kingdom Brunel. Even his name is colorful. Brunel died at the relatively young age of 53, but accomplished a staggering amount in his lifetime. His most famous creations were his ocean-going steamships—particularly the propeller-driven S.S. Great Britain, widely considered the first true modern steamship—but he also built tunnels, bridges, docks, railroads, and much more. The American Society of Civil Engineers counted 25 railway lines, three major ships, hundreds of bridges, and eight pier and dock systems in addition to a pre-fabricated hospital for use in Crimea and Paddington Station in London. The son of French civil engineer Sir Marc Brunel born in 1806, he had building and innovation in his genes. 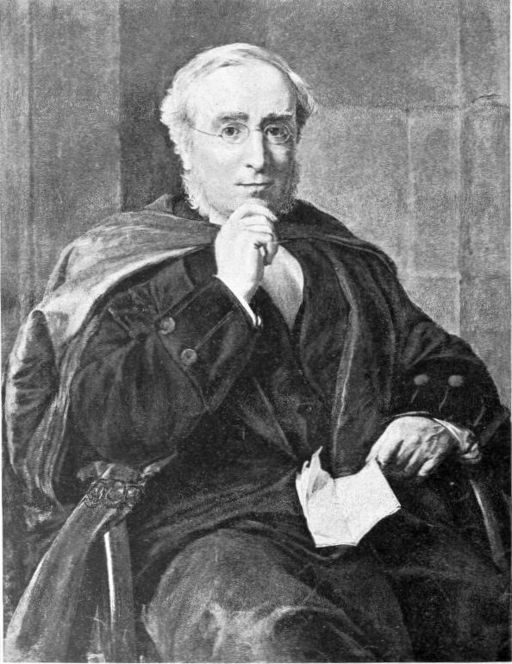 After education in Brighton and Paris, his father appointed him to work on the Thames Tunnel, the first tunnel ever successfully built under a navigable river. He was nineteen. The project didn’t always go smoothly. He almost died in a roof collapse. Four years later he participated in the building of the Bristol Docks. By age 27 he had been appointed chief engineer of the Great Western Railroad. While many of his railroad viaducts no longer exist because they were constructed of wood, some Brunel bridges are still used today. 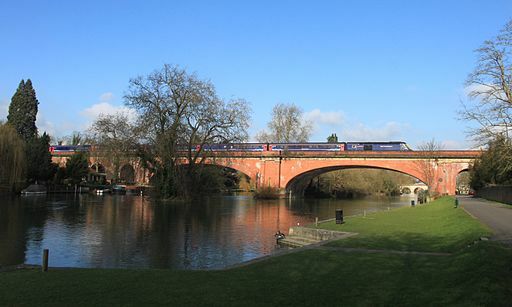 When he designed the Maidenhead Railway Bridge over the Thames in 1839, it was the flattest, widest brick arch bridge in the world. 177 years later four standard gauge lines still carry traffic—and much heavier trains than he could of envisioned—out of Paddington Station over the bridge. Brunel’s ambition and larger than life personality led to risk taking and extravagant visions. He appears to have subscribed to the mantra, “Go big or go home.” When the directors of the Great Western Railroad questioned his proposed length for the main line of the railroad to Bristol, he is reputed to have asked why they don’t go farther and build a steamboat to go from Bristol to New York. Considering there were no trans-Atlantic steamships in 1834, it was an outrageous suggestion. He won the argument about the length of the railroad. Four years later, the S.S. Great Western sailed into New York harbor, setting records. His great insight into shipbuilding—that the resistance of a vessel in water does not increase in proportion to its tonnage—drove him to design bigger ships with longer range. He designed and supervised the building of the S. S. Great Britain, the largest ship in the world at the time. 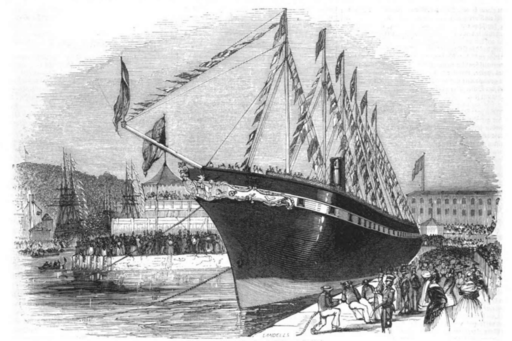 At her 1843 launch she was called, “The greatest experiment since creation.” Due to her size Brunel built it in iron, and employed a 10,000 hp steam engine, the most powerful ever employed at sea. More radically, he rejected the traditional paddle wheel and deployed screw driven propellers. He revolutionized ship construction. Ten years later he designed the S.S. Great Eastern, which was twice as large as the Great Britain, employed double iron hull construction, and compartmentalized design. It was an engineering marvel, and a financial disaster. Brunel’s vision had finally overreached the times. His investors went bankrupt and the fiasco may have contributed to Brunel’s death in 1859. The ship, however, set the standard for shipbuilding going forward. Like other larger than life Victorians, Brunel makes his way into historical fiction. IS, a children’s book, tells the story of a girl who believes she is a reincarnation of Brunel. 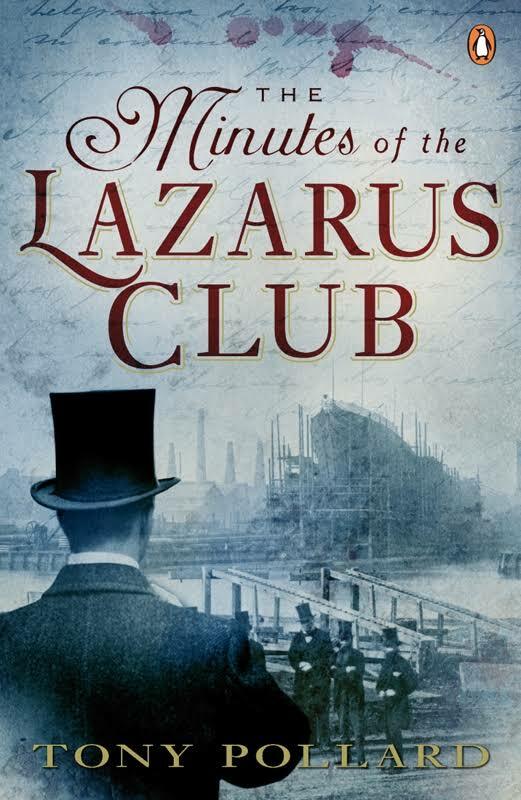 Brunel also appears as a character in Tony Pollard’s Minutes of the Lazarus Club and its sequel as part of a secret society of great minds in the 1850s. 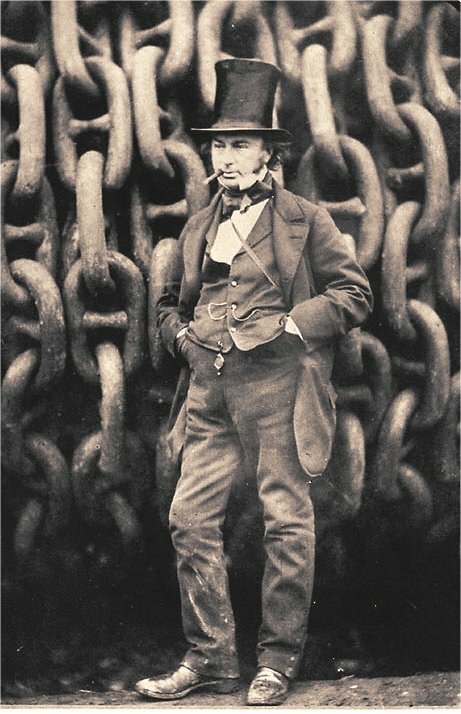 I came across Isambard Kingdom Brunel while doing research for The Reluctant Wife. Regrettably the steamships my characters used in 1835 were associated with the Indian Mail, and I wasn’t able to incorporate Brunel himself in the story, but I’m grateful to have been nudged to look at the shipbuilding. One last note, about that name: Kingdom was his mother’s maiden name. Isambard, his father’s middle name, comes from the German Eisenbarth, meaning iron-bright. It seems appropriate, does it not? My earlier post for History Imagined, Sails to Steam, covers the development of the steamship. ← Dr. Samuel Mudd–Co-Conspirator or Innocent Doctor? What a fascinating post, Caroline! Railways and steamships feature prominently in many of the novels I’ve loved, being the Anglophile that I am. I’m loving your new series!! Interesting and informative read. Don’t you just love where research takes you? Even when our extensive research ends up in a file and not in a novel, the research is always worth the ride. That’s exactly right. In my case the leftover research ends up here on History Imagined. What a name and what a story to go with it! Loved this post, and what a remarkable man, to not only build tunnels and bridges, but also ships. Sometimes I think the things I learn while doing research for a book is more fun than the actual story.